Beloved One-Time Oriole Nick Markakis! Anyway, we’ll be a train filled with all sorts of cool people. Losers. But, cool. Think of all the fun we’ll have! Mike Trout! He’s already here. And, look, there’s Jacob deGrom. His pitching might be Cy Young worthy, but he pulled in early with the rest of the Mets to get a good seat. There’s no shame in the Loser Train. Everyone expected the Orioles to be here. 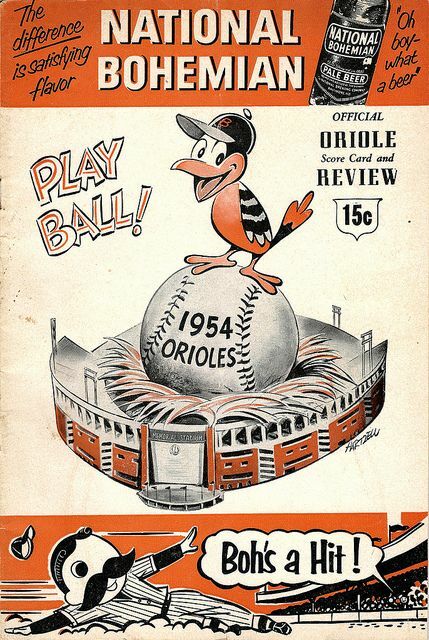 The Orioles were losers from Day One. Oh, wait, what? Sports Illustrated predicted the Nationals would win the World Series? And, I hate to be the one to tell you this, but Sports Illustrated just threw you under the bus. Brrr … Did it just get really cold in here? We’ve discussed the Nationals’ problems before, you and me, but you don’t listen. So, let’s talk about one other problem that plagues your team. Even George is a little disappointed in you. Let me explain this in a way that you Washington insiders will understand – with statistics that have the air of truth to them but are entirely made up. You get the picture. You might be wearing a curly W on your cap, but underneath your Bryce Harper jersey is … a retired Jason Werth jersey. But underneath that is a fraying Red Sox tee-shirt that you’ve been wearing since high school. That’s 90 percent of you. You’re only cheering for the Nationals because they aren’t playing the team you really cheer for. The other 10 percent of you? That other 10 percent have been in Washington for awhile. You know who you are. And, you know who you were. You were Orioles fans. You zipped up I-95 … or took the far easier BW Turnpike … all summer long back then. You parked at Lake Montibello, just a quick walk to Memorial Stadium. You knew that parking lot was there because Roll Call, the newspaper for wonky Washingtonians, told you it was there. Today, the Camden Marc train takes you from Union Station straight to Camden Yards. You know the route. You cheered for the Orioles. You drank cheap Natty Boh beers and you cheered for Eddie Murray. You cheered for Cal Ripken. You spelled out O-R-I-O-L-E-S between innings and sang “Thank God I’m A Country Boy” even though you aren’t and that song is stupid. Fun Fact: National Bohemian – Natty Boh – beer is now owned by Pabst Blue Ribbon. It is not brewed in Baltimore. And then in 2005, as soon as the Nationals came to town, you dumped the O’s. You dumped the American League. The O’s were there for you when DC had no team. But, as soon as you had the chance you dumped them. That’s the problem, NattyBoo. There are no real Nationals fans … there are just kinda-sorta Nationals fans. There’s another team you really love. Or, a team you cruelly jilted. Everyone knows there’s another team in your heart. You are #FakeNats. And, until you fix that, the Nationals will be cursed. By you. Anyway, no hard feelings. Climb aboard Nats fans. You’re losers just like us. Oh no, don’t sit there. I’m saving that seat for the Yankees. P.S. Never Trust A Camel. This entry was posted in Baltimore Orioles, Baseball and tagged Baltimore Orioles, Washington Nationals, winning and losing by Jackie, The Baseball Bloggess. Bookmark the permalink. As a fan of team who dumped Dusty Baker after he led them to the playoffs (Reds! ), it’s amazing to me how many teams have faltered after dumping the toothpick-chewing old man. No, he’s probably not going to win you a World Series, but Dusty will at least give you a regular season worth watching. By the way, my team joined your train looooong ago! 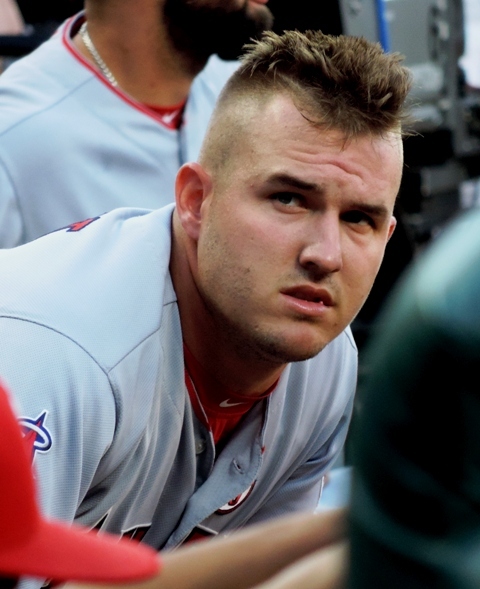 I agree … I still don’t understand why the Nationals cut Dusty loose. Although I guess that’s what you do … when you don’t know what to do, fire the manager, even though statistics show that teams almost always regress when a manager is fired. That made me smile. I used to be a Senators fan and never really got over their leaving. Then in the mid 80s, we finally moved to a city with baseball (Atlanta) and the family became Braves fans. This was when they stunk (you know, before they got that great stable of pitchers). After moving back to the metro area in 90, we were still die hard Braves fans driving to Phili and Baltimore to catch games when we could. Then Ted Turner sold TBS/the team and TV coverage virtually stopped. So after being abandoned by two teams, I’ve been slow to get back into baseball and didn’t jump on the Nationals bandwagon when they came to town. I may become a Nationals fan (the real kind) one day if they decide to stick around but I can’t really get behind any American League team since I like to see the pitcher hit. But if I did root for the O’s, they’d probably leave like the Senators and the Colts. Plus, I think the Richmond Braves created a strong Braves fan base in Virginia. I’m rooting for them simply because with five former Orioles on their roster, including Nick Markakis, it’s like O’s South down there. I truly am a Rockies fan and hope your “experts” were right! #FakeNats—cracking up at this one! Entertaining as always, Jackie. Go, Crew! I’ll follow former Oriole Jonathan Schoop anywhere … so, yup, Go Brewers! One more game, one more game. It’d be a heck of a closer to best the Cubs for the division title today! Thank you for highlighting our Rockies! The team is having fun again and we are ever hopeful that it continues to carry us into Rocktober. What I love most is the 2007 and 2009 team mates coming around to relive our 25 year old franchise and to cheer along with the fans. May your Os have a better year and belong to the post season band wagon in 2019. It’s a tight race … and I know that the Rockies haven’t clinched a post-season spot, but I hope they do. Imagine if my experts — including Mookie the Cat who chose the Rockies to win it all — are right this season! No matter how this ends, (but it’s looking good tonight), I love your Mookie! There are so many good chortles in this post. As a Cubs fan I had a season pass to ride the Losers Train for many a year. None of the passengers ever asked why the train never left the station, but then it had nowhere to go. Hi Gloria, good point about the Loser Train. You’re absolutely right … the train never leaves the station … it has nowhere to go. I think you’re on to something here with the FakeNats thing. I’m a total FakeNats fan, I guess. My first team is the White Sox. I started cheering for the Nationals when they drafted Strasburg and Harp. They are my fave NL team but yeah, I’m bummed about this year. Let’s hope Harp re-signs with D.C.!!! I’m with you Jackie! IF he leaves, I hope he goes to L.A. I love the Dodgers history. I even own a Brooklyn hat. However, if he signs with the Cubs I will probably go in a deep depression for a long time, never to recover. Well done. World Series?! : Orioles 3-3, Nationals: Still riding the loser train. #FakeNats. I kind of feel sorry for the Nats and their transient fan base. Whenever the Nats play a team like the Giants or Cubs … you can see it’s a pretty mixed group of fans. You just know that 15,000 fans from San Francisco didn’t just fly in for a midweek game … it’s Nats fans who aren’t from DC who are cheering for the team they really love. That’s gotta hurt. I love going to the O’s/Nats games at Nats Park … O’s fans often outnumber the Nats fans. Fun! #FakeNats Love It. I like that ball park but you’re right. Went last year to see them play my Yankees and half the place was rooting for the Yankees (but then you know us Yankees fans are like roaches. WE ALL OVER THE PLACE!) I am so happy for Nick Markakis , he deserves to be in the playoffs even if it is with Atlanta (Talk about fake fans). Every fan base no matter what the sport seems to have what I call #FugazyFans. Washington, DC is such a transient town, that the Nats, I think, will always suffer with fans who cheer them by default. I’m very happy for Nick, too … I thought that Atlanta had a pretty strong fan base. Their AAA team was based in Richmond for many years and a strong Braves fan base is still here in Virginia. This off-season, I’ll root for any former Oriole … so I hope that Zach Britton does well for your Yankees.